Happy birthday James Bond! Completing half a century of entertaining people across diverse demographics and geographies is an occasion for celebration. Sean Connery, Roger Moore, Timothy Dalton, Pierce Brosnan and now Daniel Craig have all done proud to the character of this iconic British agent 007. Did Ian Fleming ever imagine that he would be leaving such a lasting impact on human kind superseding cultural and political boundaries. James Bond is truly a global phenomenon. Every movie depicts a global reach and interest, capturing the hearts and imaginations of audiences and catering to their hunger for style, gadgets, technology and special effects. The movies are filled with thrills of innovative chases, fights, extraordinary stunts, awesome cars and action in the field, skies and the waters. To top all of this, he is the only movie hero who has the license to kill. 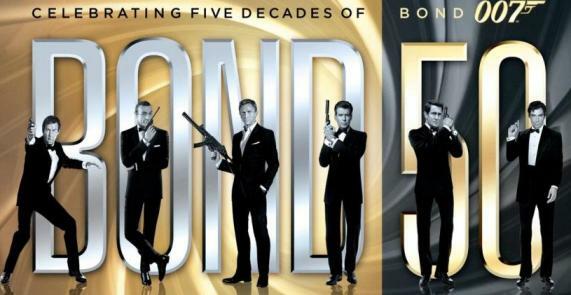 Since my childhood, I have loved watching Bond movies and haven’t tired of them. Of all the Bond movies, Casino Royale, based on an original Ian Fleming novel, has been my all-time favourite.